Bashir's features live music every Friday night and Belly dancing on Saturday nights. 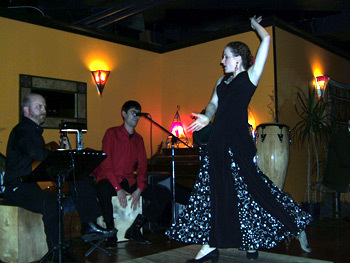 Above: Amalia dancing at Bashir's. Click here to visit her site. Below: Peter Richardson, Fausto Pototo & Kristi O'Brien, Flamenco Dinner Show.